Hope you all have a safe and fun Halloween! We had a full weekend of costumes, trick or treating and parties. 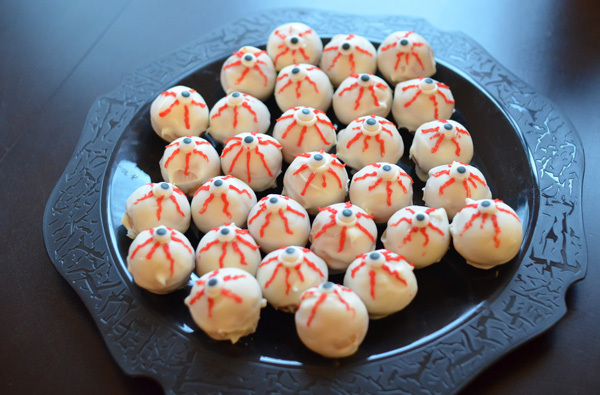 Here are the cake ball eyeballs I made for a party we went to last night. They sure were yummy!